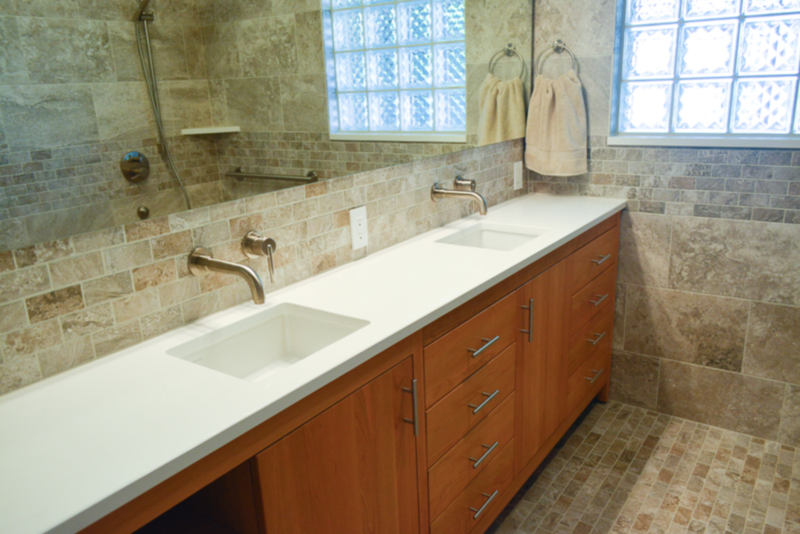 Whether your bathroom remodel uses traditional or modern vanities, our collections suit any style. View our gallery here of our customers' bathroom remodels, featuring Strasser Woodenworks vanities and funiture. Have you recently upgraded your bathroom using Strasser's products? Send us photos of your remodel. We’ll pick a winner each month for a $50 Starbucks card and share our favorites on Facebook! Email us photos of your bathroom remodel. Email us at remodelpics@strasserwood.com. Include in your email your first and last name and address. 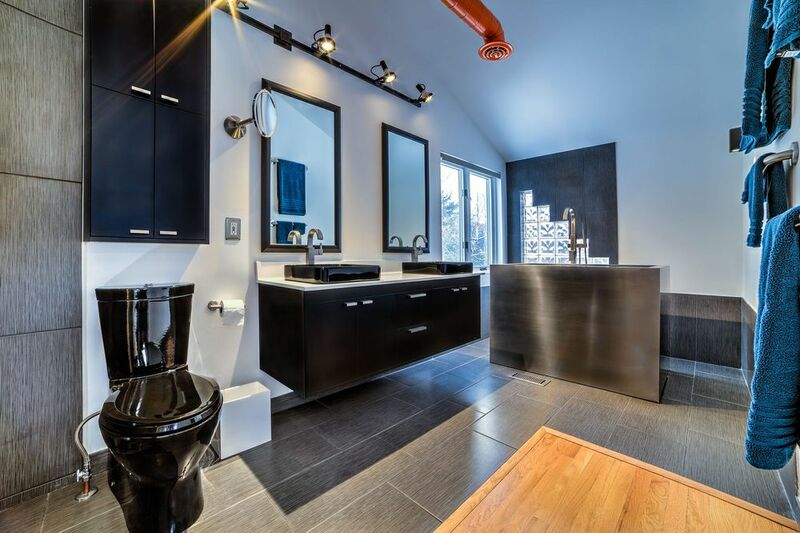 Tell us about your project and what Strasser Woodenworks products you used for your bathroom remodel. We will share your photos on our Facebook page and every month we will choose a winner for most the most inspiring bathroom remodel. See more of our Alki Collection. A custom bathroom vanity featuring our Alki Collection. 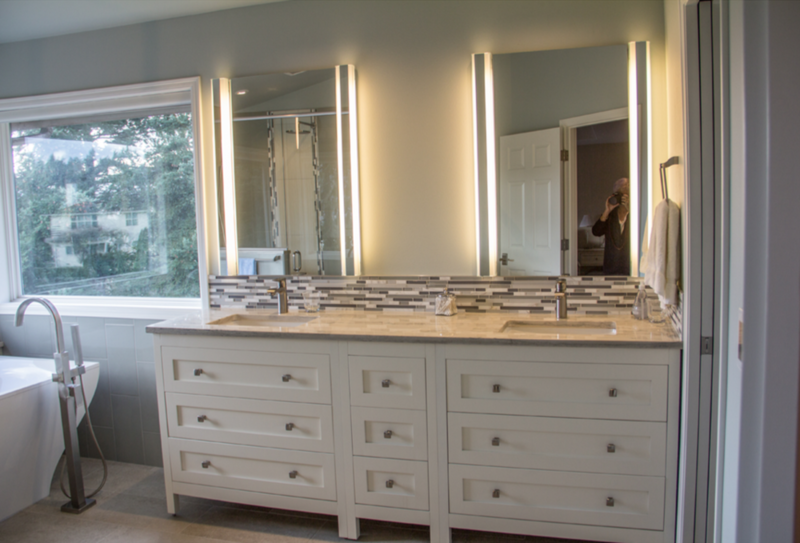 A Michigan bathroom remodel using a SoDo wall mounted vanity with matching mirrors.